Had a couple of problems with the template but this was fixed straight away and the template looks great! 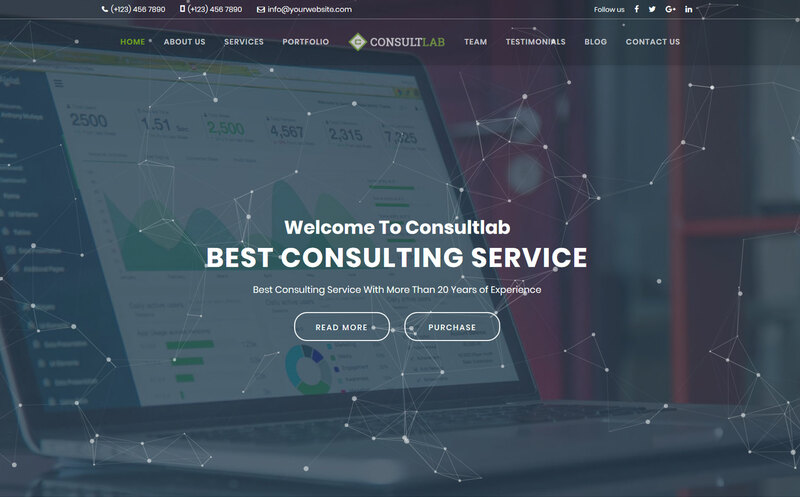 ConsultLab is a clean & feature rich one page multi-purpose creative, business and consulting Joomla Template. 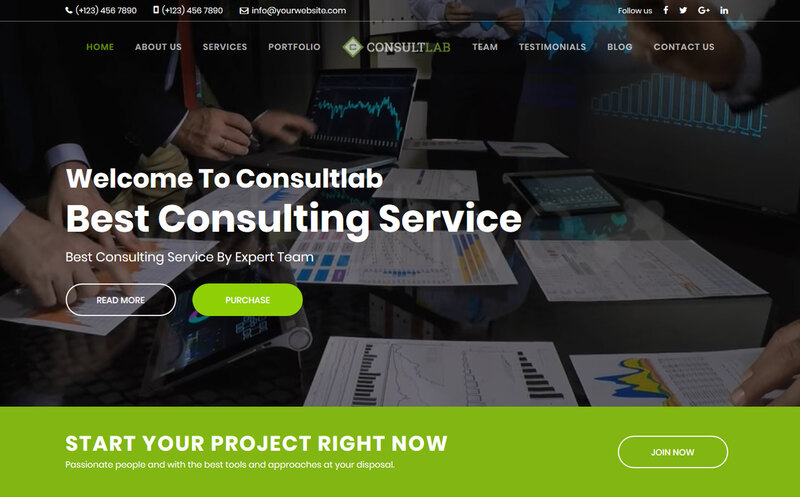 It is highly recommended for any kind of agency like Financial Services, Financial Advisors, Consulting Agencies, Creative Businesses, Consulting Firms, Investment Firms, Insurance Firms, Tax Consulting and also can be used for any kind of Individual Business or Personal Website. It's included all necessary features like Services, Pricing Plan, FAQ, Portfolios, Single Portfolio, Team, Team Profile, Testimonials etc. 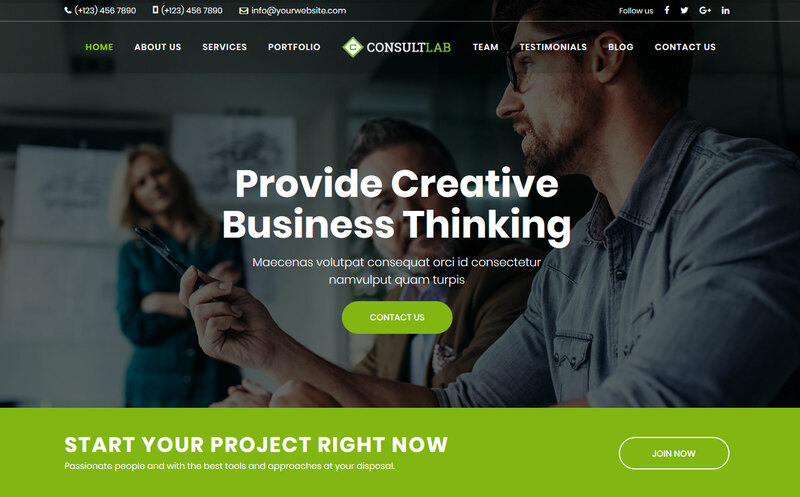 It also comes with popular Joomla drag & drop SP page builder Pro that's why no coding skill required. It has also prebuild 9 presets color with unlimited color options. It's 100% responsive that's why it will work nicely on all smart devices(smart phones, tablet, PCs and desktops). 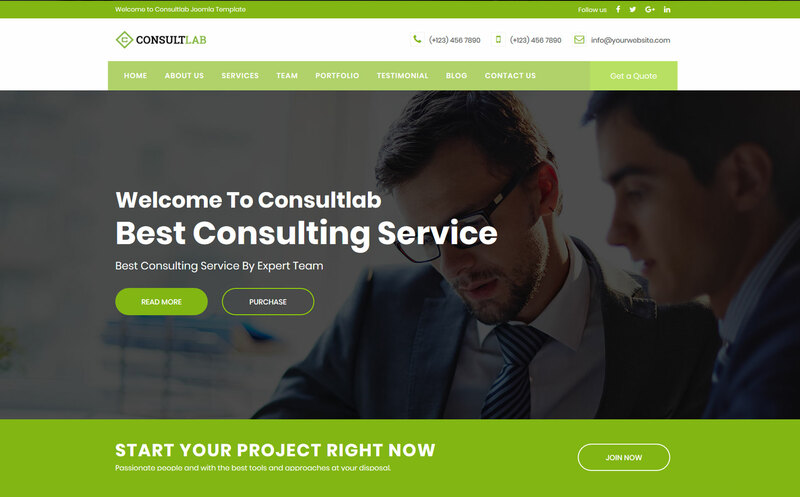 With ConsultLab, you can showcase your works with perfect effect and separate your works in categories in an easy way. 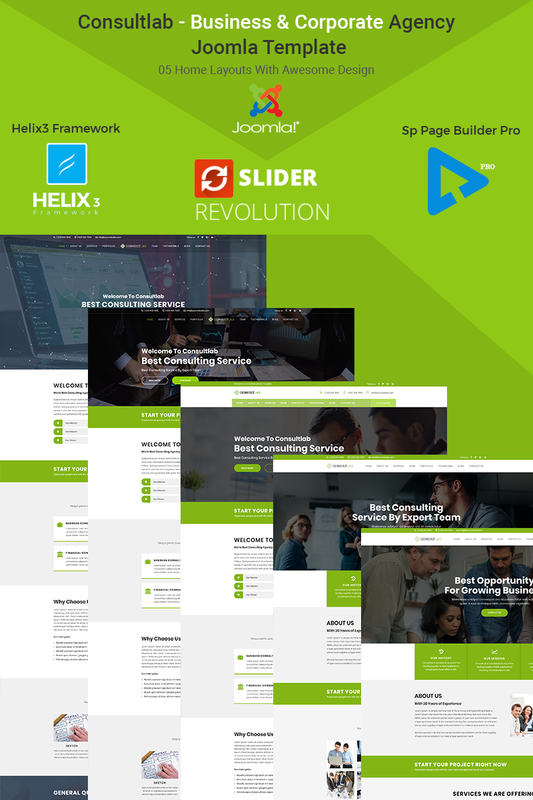 Updated to Joomla latest version. Very good template. I requested assistance for a bug and it was fixed in a short time. The template is flexible and has the components and modules described. I advise.